It's the Christmas season and everyone I know is making rum balls!!! Okay not everyone but it certainly does appear that way on my facebook and Google+ newsfeed! 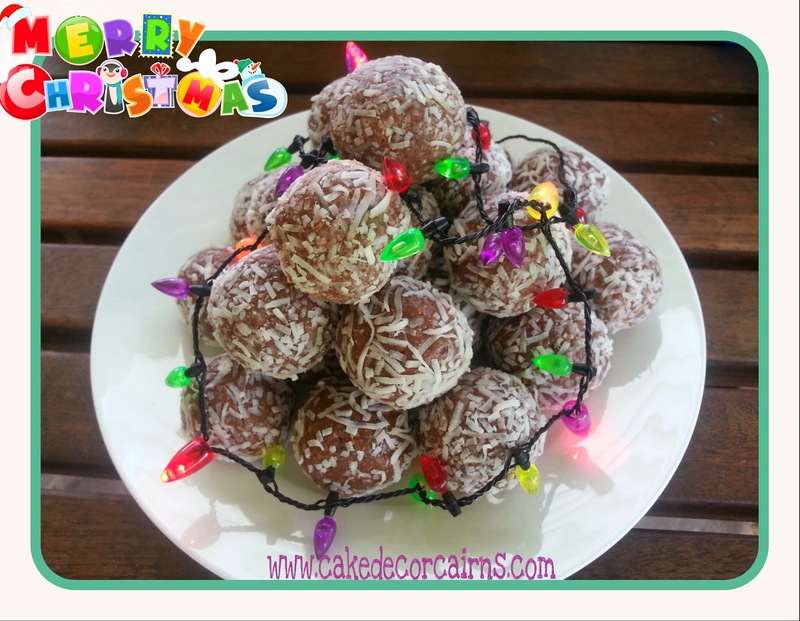 We have a tradition in our family to make anything goes balls. What's that you ask? Well it's pretty much using what ever liquor we have in the house. I don't drink rum so don't want to waste money just for a few tablespoons. (You know I like saving money! ) Past Christmas balls making we've used Frangelico, Baileys, Kahluha, and this year it looks to be Chamfords Raspberry Liqueur. All very yummy but the key is not to put too much liquor in! If you put too much you're really just making chewable rum, it overpowers all the other flavours and you forget about the other delicious ingredients like coconut and chocolate. 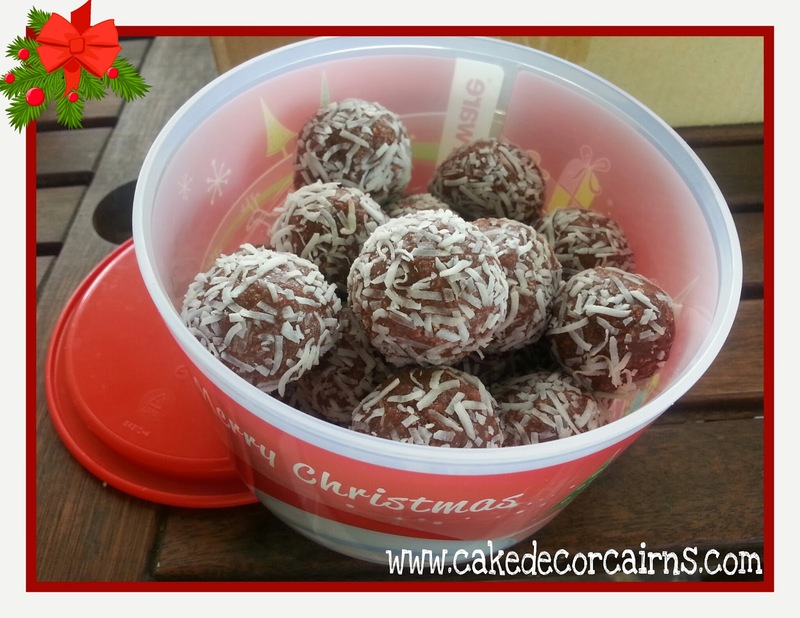 Traditional rum balls were made from left over fruit cake, add a bit of rum and much like our cake balls/ pops of today you mashed it together and made balls. (You could use orange juice for an alcohol free version) but today I am giving you our family's version, which I am sure is similar to many of you in the world wide web. Add Rest of ingredients ( except coconut ) until well mixed. Mixture should be very thick. At this stage it may be a little too soft or sticky because of our summer heat; so just pop in the fridge for a bit to prevent totally flat bottomed balls. Then take spoonfuls of the mixture and make your balls by rolling between your palms then roll in coconut. *Now if your balls are still a bit too soft to hold their round shape, put them back in the fridge to firm up a little then reshape the ball again and place in fridge to fully set. *Or if you get really pedantic, pull your cake pop pans out and let them set in there! Roll in sprinkles instead of coconut.